Nintendo Zone - Depending on what region your 3DS is from, you might have a new icon on your main menu which allows you to download videos and demos from specific retailer wi-fi hotspots. Best Buy is that retailer in the US right now. 3D Video recording - This is under the camera icon where the pictures have always been. You can also start it by pressing the L and R buttons from the main menu. QR Code scanning - In the camera application, there is now an icon you can press to scan QR codes. This is for regular QR codes and not Mii QR codes. 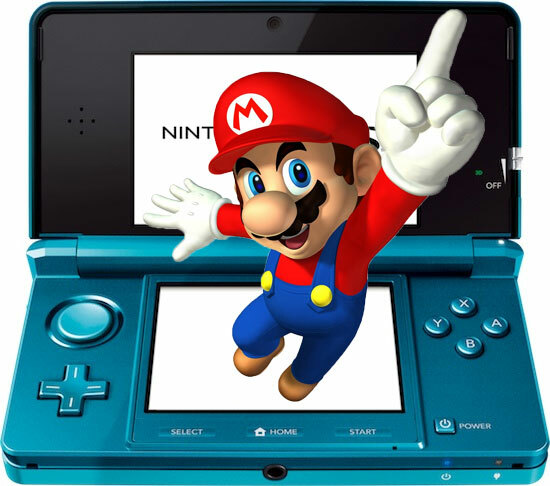 When you scan them, you will be able to launch the 3DS web browser and go to the website. System Transfer - You can now transfer all your games, saves, and settings from one 3DS to another. The option for this is under the System Settings menu. Find Mii 2 - The sequel to Find Mii is now available to people who have already collected all the hats from Find Mii 1. Find Mii 2 will appear in the same menu where Find Mii 1 is. Find Mii 2 has a bunch of new hats including; Epona, R Wing, top hat, pirate hat, and many more. New 3D Puzzles - The new puzzles are found in the same menu where the old puzzles were. The new puzzles are 40 pieces and have pieces you can only get from SpotPass. Some of the new puzzles include Mario Kart 7, Super Mario 3D Land, and Star Fox 64 3D. Accomplishments - Achievements specifically for Mii Plaza. - The eShop loads faster. - You can now add the exact amount you need to buy something. You don't have to add funds to a wallet if you don't want to anymore. - You can now save your credit card info to your system. - You can now queue up to 10 downloads and download them through SpotPass while the system is in sleep mode. - You can now redeem download codes. The option is under Settings/Other on the eShop. - Downloadable demos are available now depending on what region your 3DS is from. Japan has demos right now. Maybe the rest of us will get demos on Thursday. - Developers can now put DLC on the eShop. No DLC that I know of is available yet though. I'm really excited for this update and it will make the online buying experience a lot less painful while making the online matches a breeze. Oh yes, E3 here we come. Last year I had completed every puzzle and Find Mii by the second day. Now this sounds like I will have a lot more reason to StreetPass again. I love StreetPassing. 3DS 128mb of EDRAM is amazing its better than ps3 256mb of slow RAM as thats whats dedicated to gaming on ps3 so to to half but EDRAM wow i thought 3DS had FCRAM which is still way more impressive than ps3's RAM.